يقع في بقى ايسلند, Beqa Lagoon Resort إنه المكان الأنسب لاكتشاف بيق ايسلاند و ما يحيطها. إن موقعه الجيد الذي يبعد فقط عن مركز المدينة يساعد النزلاء على الاستمتاع بمعالم المدينة ونشاطاتها. يوفر الفندق بفضل موقعة الجيد وصولاً سهلاً إلى أهم معالم المدينة.
. إن الخدمات الممتازة وحسن الضيافة العالي في Beqa Lagoon Resort تجعل إقامتك تجربة لا تنسى. يمكن الاستمتاع بمجموعة من الخدمات على أعلى المستويات في الفندق كمثل أمن على مدار 24 ساعة, متجر, خدمة التنظيف يوميًا, متجر هدايا/تذكارات, خدمات بريدية. استمتع بوسائل الراحة الراقية في الغرف أثناء إقامتك هنا. بعض الغرف تتضمن اتصال لاسلكي بالإنترنت, مسبح خاص, مكيف هواء, خدمة الإيقاظ, ميني بار لمساعدتك على استعادة طاقتك بعد يوم طويل. يقدم الفندق مجموعة واسعة من وسائل الراحة المتنوعة، كمثل: قوارب, كنو, مسارات المشي, الغوص السطحي, شاطئ خاص. استمتع بخدمات لا يعلى عليها وعنوان ذو اعتبار في Beqa Lagoon Resort . للوصول إلى العقار، يجب ترتيب خدمة نقل القوارب الإلزامية مقابل 89 دولار أمريكي للشخص البالغ و48 دولار أمريكي للطفل الواحد. سوف يرسل العقار معلومات القارب عبر البريد الإلكتروني عند إتمام الحجز. تبدأ المغادرة من مرفأ باسيفك إلى العقار في تمام الساعة 10 صباحًا والساعة 4:30 عصرًا. تبدأ المغادرة من العقار إلى مرفأ باسيفيك في تمام الساعة 8:30 صباحًا. المغادرة من بيجا بعد الساعة 2:30 ظهرًا متاحة عند الطلب وحسب التوافر. يُرجى العلم أن مرفأ باسيفك يقع على بُعد ساعتين ونصف من نادي أو ساعة ونصف من سوفا. تتاح انتقالات المطار مقابل رسم إضافي. يُرجى الاتصال بالعقار لترتيب ذلك. يجب على النزلاء دفع رسوم النقل بالقارب عند الحجز أو إلى الفندق مباشرة. Nice resort with beautiful rooms. However, it is run cheap and focused on cost cutting (stagnant water jacuzzi, toilets smell of feces, blurry swim pool water). Well before seeing our bure we were aggressively pushed to book meals. Food is tasteless. Office was unable to book the shark dives before arrival. One day before arrival, the feeder emailed us that dive was fully booked! So unprofessional. Shark dive was cancelled due to bait shortage. While this can happen we found it unethical to claim that all operators in the area were facing the same issue. Being in contact with other operators, this was a lie. Divers can be up to 26 incl beginners with 3 dives in total! Total price for shark dive: 250 US$. If you get over that, the dive is spectacular. WRONG BILL. On departure, our bill has been doubled (charging extra meals and even two fake bills from the bar). Extra 3,5% charge on credit card. If you go there double check your bill. Manager usually answers bad to realistic reviews. Everything is just awesome, the peace, the lovely staff, the amazing reefs, delish food and cocktails, heavenly massages, the large room. And from what I have heard from the divers, great shark diving experience. This is a wonderful place for people on a vacation to visit and experience. The Fijians are the most welcoming people of guests to their island. 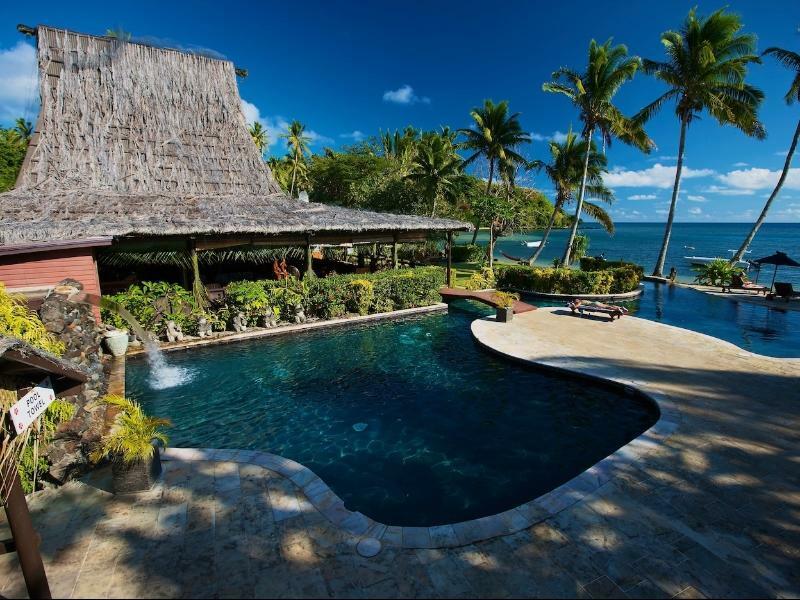 Beqa Lagoon Resort takes this uniqueness of hospitality to another level. The diving is world class..One cannot beat seeing Tiger Sharks in their habitat...Best in the world. We personally appreciate the conservation steps being taken to have many preserves of animals, marine and nature being implemented there. The Fijians are good stewards of their environment. It's definitely a trip to make!!! 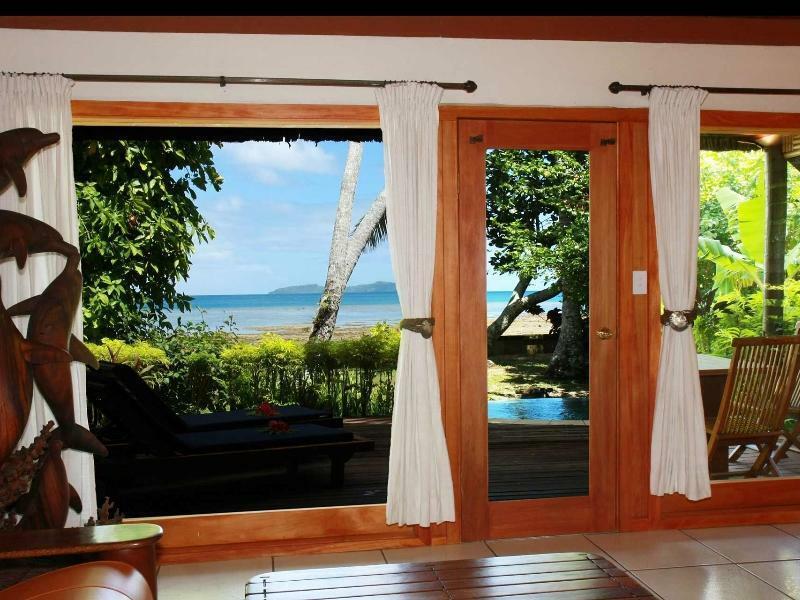 Our Oceanview Bure was absolutely beautiful. The plunge pool is awesome, the hammock was comfy and the bed was unreal! We had an amazing time. The food was great and the friendly staff really made the trip. I highly recommend a massage at the spa - best one I have ever had! All in all, definitely recommended: GREAT: Staff and location, yummy food and lovely setting. Bad: Showers (either boiling HOT or cold), and the service desk is really tedious to communicate with. Dive boats are packed without much space or comfort. Be warned, many beginner divers, all divers lumped into one or two groups. But then again, the dive sites are world-class, and isnt that what counts? Despite the glitches, you will want to return to the lovely place, diving and staff. 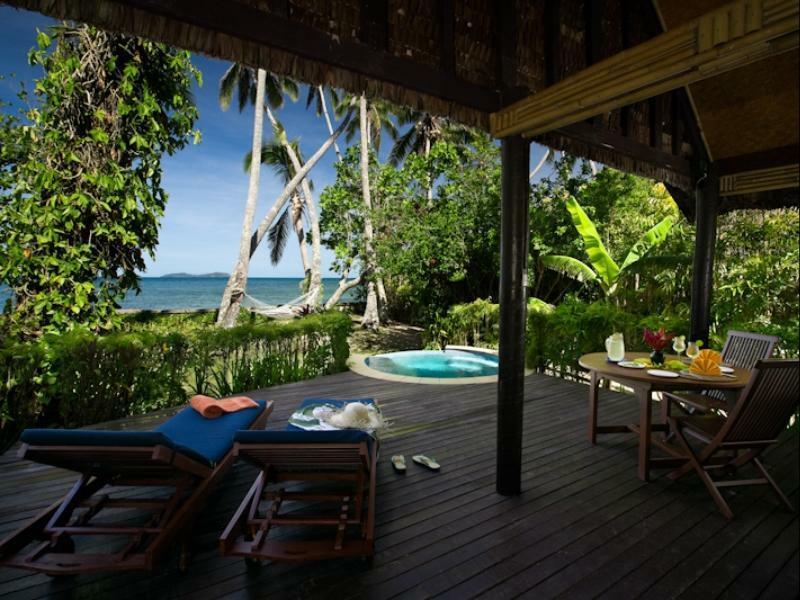 Beachfront Bure is the best choice! 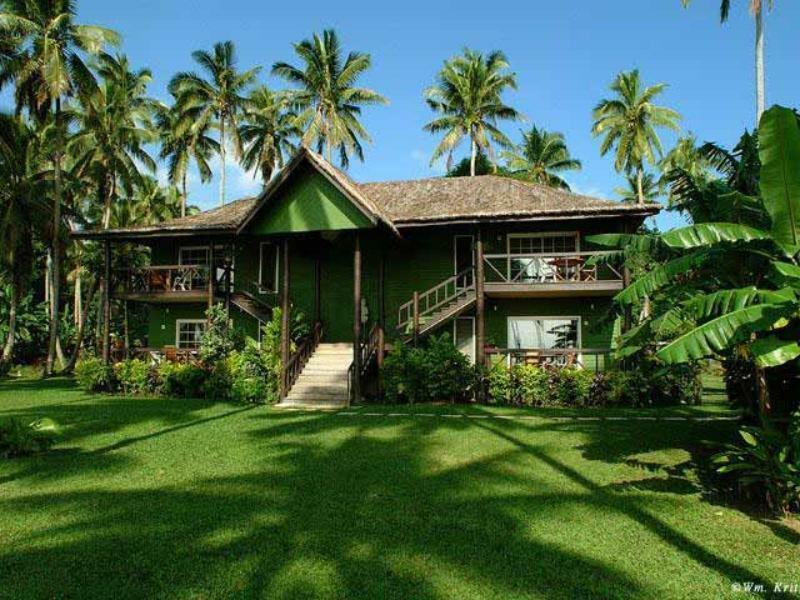 Private beach, private garden and large private sundeck with sun loungers and hammocks. We didn't go for diving like most of the other guests, but it is so peaceful and beautiful we loved it anyway. Staff are very friendly and helpful, food was great! Excellent short stay for a few dives and a relax. Wonderful relaxing visit. 3 course dinner each night. The activities each afternoon were great. Massage at Spa was terrific. Wifi access $20 FJD per day - available in Bures - most of the time! Staff were only too willing to please. Nice rooms. Nice gardens. Easy access to reef. It was a frustrating experience. The resort itself is beautiful in a lovely location. Unfortunately it is almost exclusively for divers and groups at that. Traveling as a couple we were forced to sit at long bench tables in amoungst the divers at meal times . It was not what we were expecting. Also there is no a la carte dining which effectively makes it a full board resort and therefore you will have to pay an extra $85 per day per person whether you like it or not unless you have that included in your booking. For the amount of people staying there the 5 sun loungers seemed insufficient and there was a sprinkling of tacky plastic chairs around the pool. To escape the dive crowd we booked ourselves on a “secluded Island Picnic” trip to a beautiful tiny island 30 mins boat ride away for $75 each, lunch provided. When we enquired to the manager how many people would go to the island he responded “it will be just you two’’. Sounded perfect! On the morning of the trip we were told that there would be another couple traveling with us to the island but were assured that the island was big enough that we would not know that they were there. It wasn’t. Just to top it all, after about half an hour, the cleaners arrived in their boat and started raking up rubbish around us and planned to light a fire to burn the trash only 10 feet away. Having had enough, we had to pay the cleaner $50 to kindly return us to the resort in his boat. A refund of this extra cost was not offered. If you are not diving or would like the possibility of privacy without hiding in your room I would avoid. we had a pleasant and enjoyable stay. food choices were good. baby sitting services available. scuba diving was breathtaking and the operators were very professional. all other activities were geared for the afternoons so that divers dont miss out. very pleasant management and service staff. Il resort è molto curato, le camere (koi pond) sono circondate da un giardino rigoglioso, sono davvero belle e molto spaziose. Tutto il personale è estremamente gentile e disponibile. L'eccezionalità del posto è data dal diving centre che ha personale estremamente professionale. Tutto fantastico!